It’s no surprise Iowa ranks number one in the nation for pork production (and the by-product that comes with it). It’s estimated that Iowa livestock produces nearly 10 billion gallons of manure each year! Just as animal health and feed efficiency have increased over time, the way we view, and handle manure has as well. 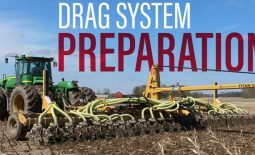 From hauling manure to the back 40 in the past to today’s maximizing manure’s nutrient value on a variable rate basis, the industry has dramatically improved. With this change, the way we service hog producers has adapted as well. 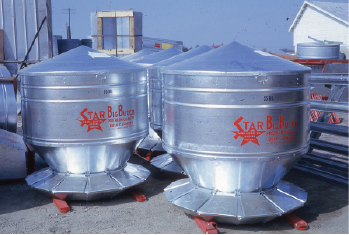 Although we sold hog feed and Star Big Butch feeders early on, we spread (pun intended) our service to the hog industry in 1972. 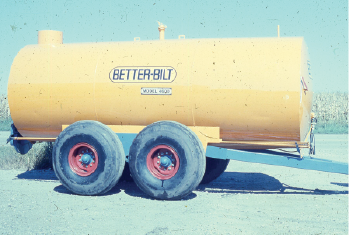 In the thick of fertilizer season, Leland Pearson rolled into Hills with a Better Bilt manure spreader hooked behind his Oldsmobile station wagon. Pearson, founder of Better Bilt, asked Ron Stutsman if he was interested in being a dealer. After Eldon and Ron tested the tank at their own feed yard, they agreed if they could sell this tank, they would buy a second. When Leland returned in two weeks, the tank was gone. Merlin Geuder spearheaded the newly formed manure handling division. As the division developed, John Yoder who was running a sprayer at the time, saw Merlin’s need for help; today John is the VP of the division. 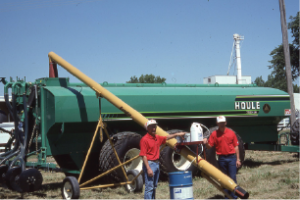 Eldon and Ron fully believed that if we were going to sell equipment, we would have to have the parts to service it. We’ve come a long way from our first parts “room” which was a retired 20’ feed truck box. 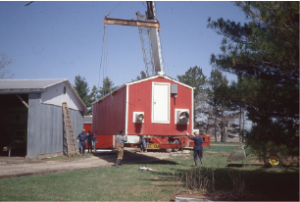 While the manure handling equipment was gaining traction, we entered the hog building business in 1980. These red “hog houses” were primarily used for farrowing and nurseries although some producers used them for calves as well. For 15 years, 5-6 employees would build them in Hills and then transport them to producers’ farms. Available in 30’, 40’ or 50’ lengths, these buildings ranged from $12,000 to $20,000. Some producers chose to set the building on a pit while others bought the 2’ self-contained pit option. We started phasing out these buildings in the early 90’s when Houle came into the picture. While trying to find a solution for stirring our lime pit, we tested out a Houle pump. Much like our equipment line today, we were thrilled with how it performed, so we brought their manure line on. 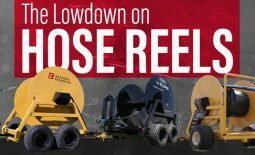 Today, we are one of the largest GEA Houle dealers in the country. 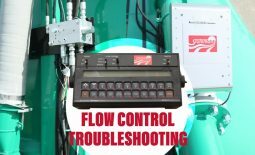 Flow meters, incorporating toolbars, and higher capacity equipment have continued to change the way we do business. Although technology will continue to reshape how we service producers and custom haulers, it’s amazing to reflect on how far we’ve come. We can’t begin to imagine what the next 50 years will bring.